This was my first Crane concertina which I purchased a number of years ago. It came from Chris Algar and Dave Elliott did some work on it a few years ago. He pointed out the stamp on the reed bed which says Crabb & Son ???????? London. Dave Elliott thought it was likely made by Crabb though the button layout is Butterworth. The concertina has riveted arms which appear to be made from aluminium. (A couple have also been replaced with Wheatstone & Lachenal arms!). So the concertina has also been refurbished in the past, maybe significantly. It makes me wonder if Crabb carried out the refurbishment & stamped the reed bed to signify this. Maybe the ends have been re-made. Interestingly, the concertina is held together by wood screws & not bolts. 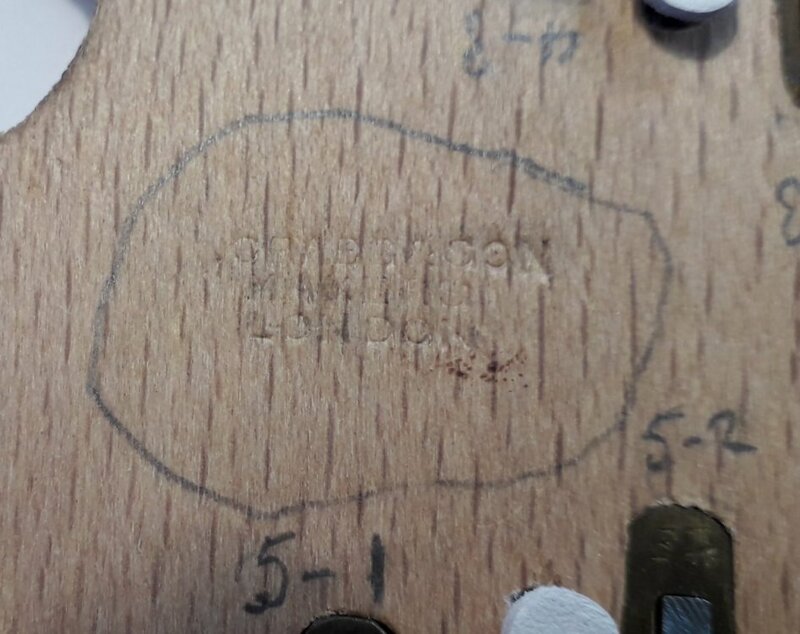 There is also no serial number stamped anywhere on the concertina. 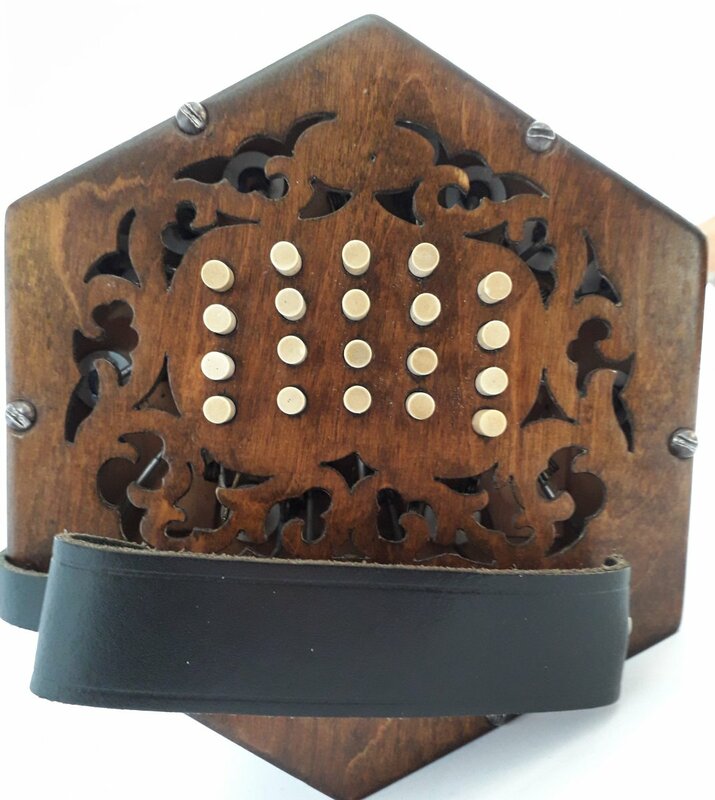 Any thoughts or suggestions or if anyone has a concertina with a similar fretwork pattern, I would be very interested to know. Years later, out of nostalgia I guess, I bought another very similar 35 button Crabb with the aim of restoring it. I eventually realised that I don't really have the skills or patience for that, so I part-exchanged it for the 55 button. Out of these four Crabbs, the 55 is the only one with chevron buttons; so it seems Butterworth layout on a Crabb is not that unusual.